They say everything is bigger in Texas, so it’s appropriate that at the Berkshire Hathaway HomeServices sales convention in San Antonio, Verani Realty had an outsized performance. The company as a whole, its Londonderry, New Hampshire, headquarters, and commercial real estate agent Tom Duffy were recognized as among the best of the best in the network for 2017. For the second year in a row, Verani Realty took home a spot in the Elite Circle, ranking as the No. 21 highest-performing office in the Berkshire Hathaway HomeServices global network, with $1.3 billion in sales volume. Verani Realty’s Londonderry office earned the No. 10 spot in Berkshire Hathaway HomeServices’ ranking of highest-performing offices, with $350 million in sales volume. Rounding out the 2017 accolades was commercial agent Tom Duffy, who was the fourth-highest performing commercial agent in the network nationwide for sales. 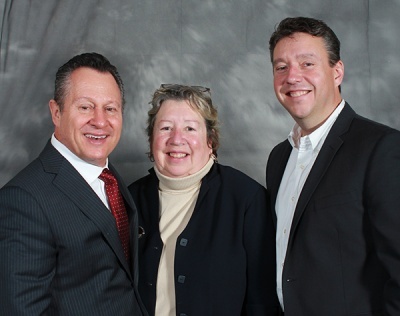 Verani Realty has been family owned and operated since its inception more than 50 years ago and has grown to include more than 500 real estate agents that serve New Hampshire, Massachusetts, Maine and Vermont. To learn more about the local neighborhoods Verani Realty serves and find the home that’s right for you, explore cities and towns on our website.